As its business matures at home, Chinese e-commerce giant Alibaba Group Holding Ltd. is looking to boost growth elsewhere in Asia — especially India, home to a nascent but fast-growing online shopping sector. Here’s how — and why – it is targeting the world’s second-most-populous nation. The number of customers outside of China that Alibaba would like to reach, according to the company’s Chairman Jack Ma. The projected value of India’s e-commerce market in 2025, up from $11.2 billion last year, according to Goldman Sachs Global Investment Research. The amount of money New Delhi, India-based e-commerce startup Snapdeal.com raised in a fundraising round led by Alibaba last year. The amount Alibaba and its affiliate Ant Financial Services Group last year paid for 40% of One97 Communications, the parent company of Noida, India-based online-payment and marketplace startup Paytm. Prominent executives Alibaba has hired in recent months who have experience in India’s e-commerce sector. Solapur, which bore witness to Sino-Indian friendship in history, will soon see a new chapter of cooperation between both countries as China will get actively involved in the city’s smart city mission. From January 27 to 28, a group of Chinese delegates led by Chinese Consul General Zheng Xiyuan, including representatives from two Chinese high-tech companies, paid a visit to this city. They saw different projects including sewage treatment plants, textile mills, and sugar mills, and held meetings with local officials and entrepreneurs, exchanging ideas on the smart city planning and progress of Solapur and sharing experiences of both sides in sewage treatment. The Chinese delegates received warm welcome from the Solapur people. Officials of Solapur showed great interest in the technology of the Chinese companies, and invited them to participate in the sewage treatment projects. Jiang Konghua, marketing director of Guangdong Sino-Israeli Water Treatment Innovative Industrial Park Co., said he is determined to conduct a comprehensive survey based on the projects he has seen in Solapur, and find the best solution for the development of this city. Solapur is a city located in the southeastern region of Indian state of Maharashtra. It is the hometown of Dr. Dwarkanath Kotnis, who fought with the Chinese people in WWII, and died in China. On January 28, Solapur is declared as among the first group of twenty Indian cities to receive funds from the central government to start the smart city mission. Ever since Narendra Modi took office as prime minister of India and proposed the smart city mission, the enlisted Indian cities have invited various countries to join their mission, including France, Germany, Sweden and the United States. At the end of last year, Zhu Xiaodan, governor of China’s Guangdong Province, led a group of delegates to visit Maharashtra. During Zhu’s meeting with Devendra Fadnavis, chief minister of Maharashtra, they both agreed on the cooperation in the smart city mission, which led to this visit to Solapur. In the West, people often opine that Chinese are not innovators but just copiers who can make a product at a cheaper rate. If somebody mentions inventions, like gunpowder and printing press which were invented by the Chinese, the argument often ends up with ‘they have not really followed through with their innovations and have since then made little progress in this department’. But the Chinese are ready to transform themselves from the factory of the world to the generator of innovation. Companies like Alibaba Group and Xiaomi among others are making a mark in the world. “I understand that the China market is characterised by some significant weaknesses when compared to a highly mature Silicon Valley, but the investment power and determination of the Chinese government, along with its appetite to transition away from ‘Made in China’ to ‘Innovated in China’ leaves no doubt in my mind that China will become a leader when it comes to building ecosystems for growth of startups and other innovative organisations,” says Lars Lin Villebaek, co-founder of GrowthEnabler.com, a platform for startups. He has 10 years of personal entrepreneurship experience in China. Last year, China gave birth to a massive 1.9 million new businesses (across all sectors) and saw some record breaking IPOs in the global market. And unlike the US, which has Silicon Valley and the area around Boston which are known for their startup ecosystems, China has several dozen ‘Silicon Valleys’. “Most of these are in the embryonic stage. Silicon Valley has a long history of success while the Chinese ones are new. The oldest — Zhongquancun in Beijing district — dates back to the ’80s,” says Zhang Chia Hou, China & India analyst and a board member of GrowthEnabler.com and author of http://www.chindia-alert.org. According to Wan Gang, China’s minister of science and technology, the district last year birthed 49 startups daily. As of March 2015, 129 high-tech zones had been approved by the State Council. These are designated areas in different cities where entrepreneurs are supported by different policies and benefits, such as fast Internet connections, government assistance in funding, and access to talented and educated human resources from nearby universities. “Zhongquancun is also home to several universities like the prestigious Tsinghua University which churns out PhDs and computer scientists by the thousands. So there is no shortage of people who understand technology and the investment tap is flowing quite readily,” says Erik Roth, an entrepreneur, lecturer, serial innovator and lead for McKinsey & Company’s Global Innovation & Growth Practice. Apart from Zhongquancun, Shanghai and Chengdu are also home to several startups. According to Villebaek, there are several other factors which will help China achieve the ‘startup capital of the world’ status. There is ample access to funding even for high-risk projects. As long as projects replicate proven business models and products, the financing is usually done very quickly. Additionally, successful companies like Alibaba, Tencent and Baidu have taken upon themselves to nurture the startup system in the country. Also, some Chinese are going for international exposure. 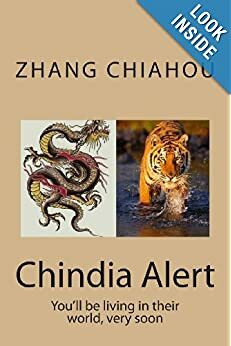 “Most of the emerging class of entrepreneurs and venture capitalists, including Alibaba’s founder Jack Ma, studied at leading US universities, and worked for great corporations and investment firms. Most Chinese who can afford it (foreign education) decide to have an experience abroad,” says Christoph Tutsch, founder and CEO of ONPEX, a company which provides white-label cloud-based payment technology. Tutsch adds that China is going in the right direction and people are educating themselves to achieve their goals. “They are trying to think out of the box for solutions that will help the local problems. Even now, they are many successful tech companies in China that no one has heard of because they are kept in the local market, which is good for self-improvement. In the next few years, we will start hearing of more Alibabas who venture West,” says Tutsch. 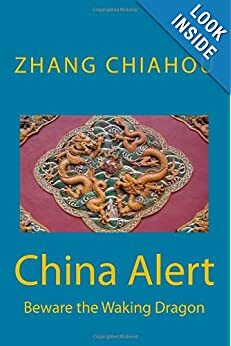 Historically, the Chinese do not have a culture of risk taking. “In a long time, I have not noticed any disruptive business model from China,” remarks Roth. The educational system in the country will have to focus on research and offer education in entrepreneurship to address the needs of entrepreneurs. “The young in general are following the old path of secure jobs in government or established industry. But with 1.3 billion people, there are enough youngsters interested in innovation and entrepreneurship for them to be a real force,” says Zhang. Instead of handing out envelopes of cash to Alibaba’s employees this Lunar New Year, Jack Ma is distributing a huge reality check. Chinese companies typically hand out red envelopes – known as hongbao – stuffed with money to employees on the eve of the big Lunar New Year holiday, which begins Wednesday. Alibaba Group would seem to be good for a similar reward, given its $25 billion initial public offering bonanza in September. But in a post on his personal microblog site Friday, Mr. Ma said such rewards are reserved only for exceptional results. “The reason for not distributing red envelopes is that in the past year, Alibaba Group has not had exceptional results and not had any special surprises,” said Mr. Ma, the company’s founder and executive chairman. “The success of becoming listed should not be a surprise as it was the result of all of Alibaba’s employees’ work over 15 years. But aside from going public, objectively speaking, we haven’t been that satisfied with our results in 2014 that we should distribute red envelopes. “We must objectively and calmly see our own results, rationally regard external views and not let ourselves be lost in illusory fame,” he said. 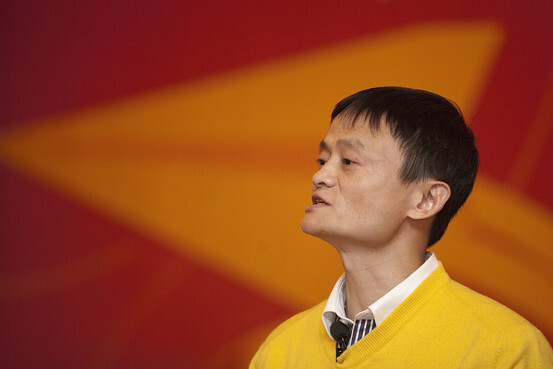 via Jack Ma Tells Alibaba Staffers: No Red Packets This Year – China Real Time Report – WSJ. A consortium led by India’s Steel Authority of India Ltd, the country’s second-biggest steelmaker, hopes to buy coal assets in Poland in the next few months, Chairman C. S. Verma said on Thursday. Most steel producers in India, the world’s third-largest coal importer, depend on overseas coal shipments and are trying to buy mines in Africa and Europe. SAIL-led International Coal Ventures Private Ltd (ICVL), whose five participating firms are all state-owned or state-controlled, has been scouting for mines since 2009. Verma said they had already invested in due diligence for the Polish assets. JSW Steel Ltd, India’s third-largest steel maker, has already bought U.S. mines that produce the coal used in steel making. via India’s SAIL-led group hopes to buy coal assets in Poland-chairman | Reuters.